Use Case-centric approach to requirements gathering. 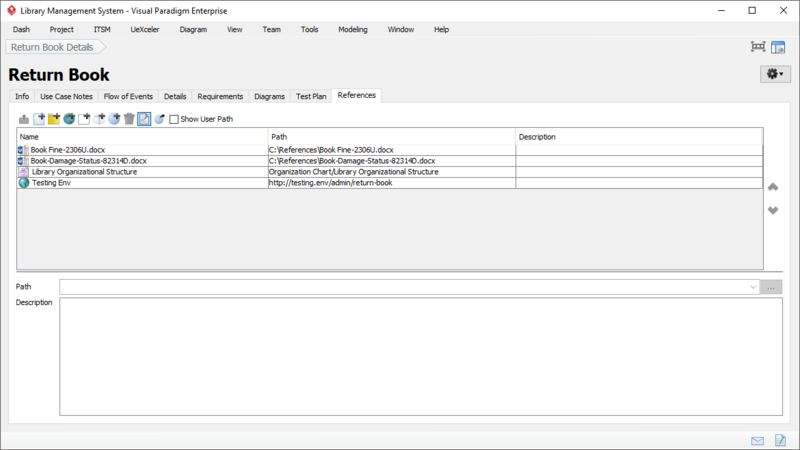 List the steps involved in completing a use case, with the Flow of Events tool. Flow of Events is a critical element of any use case description. 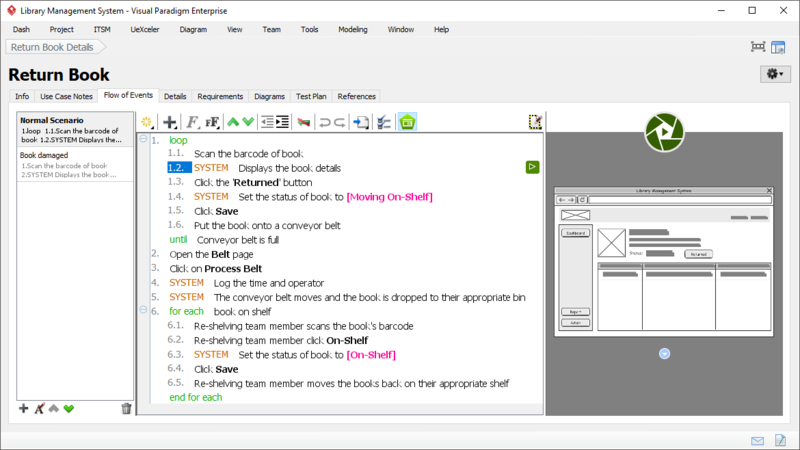 The use case software comes with a powerful events tool that supports wireframe editing, documenting extended flow, referencing included use case, and presenting business logic with if-then-use and loop operators. 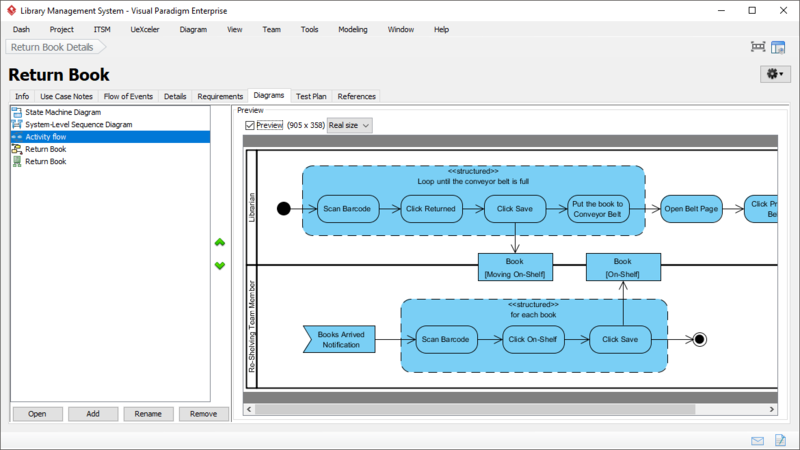 Even more, you can generate system level sequence diagram and activity diagram from the events flow to use in communicating system design ideas. 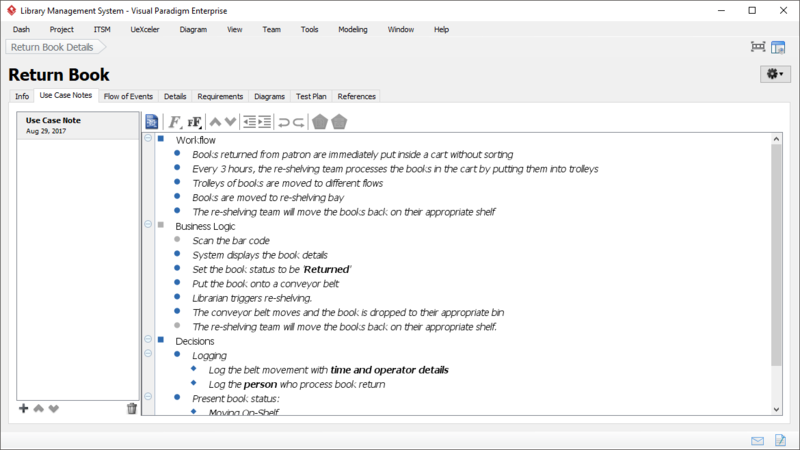 As an all-rounded use case analysis tool, the use case description editor supports additional note taking features in addition to traditional use case template. 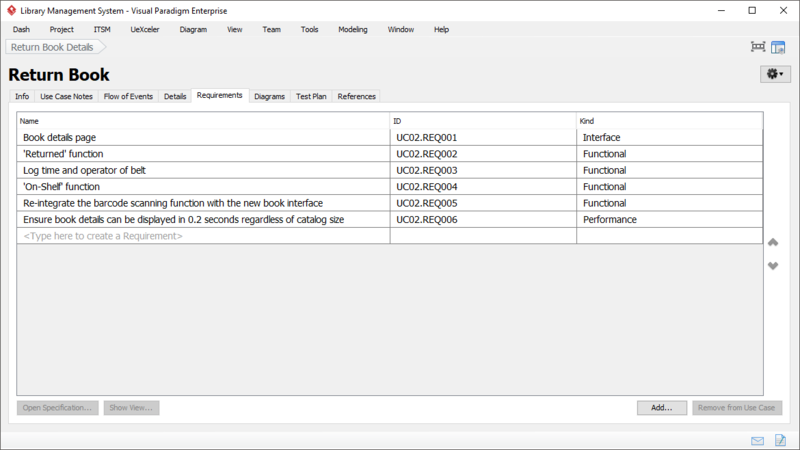 Discuss requirements with stakeholders, and note down their requests, suggestions and concerns in the Use Case Notes editor. 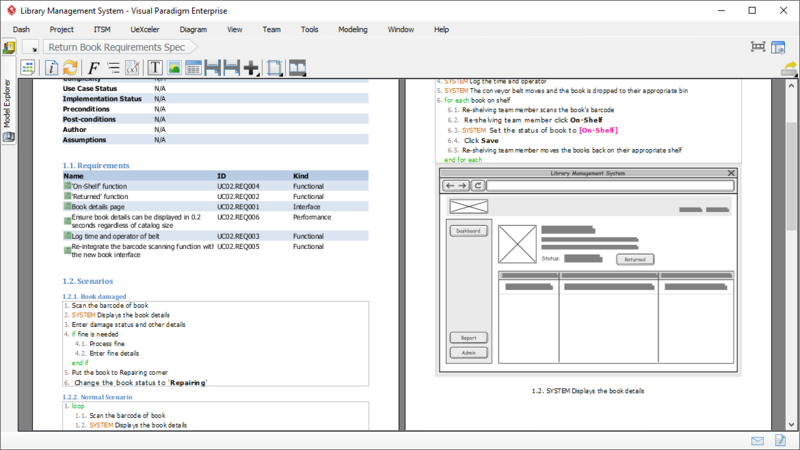 The notes editor provides a use case centric approach to managing user needs collect in discussions and brainstorming. You can organize note items in hierarchy, emphasize key contents with formatting functions like bold and italic, and even generate event flows selectively from note items. A use case represents a business goal. To manage requirements under a use cases in turns encourages the creation, implementation and management of requirements that respect and align to the business goals established. This requirement management approach prevents manpower, development time and cost wastages resulted from developing features unwanted. Use Sequence Diagram to model system interaction, Activity Diagram to model high level programming flow, BPMN Business Process Diagram to model business activities and SysML Requirement Diagram to model system functions. Take use case as a starting point of system design, elaborate it with other diagrams and manage them all under the use case, neatly and with traceability. Manage the supplementary files, web pages, internal model and diagram linkages as references of the use case. These references provide details of a use case that facilitates the communication and on-going development of the use case. The use case tool helps you keep all the references in an organized manner. Instantly produce a full use case specification that consists of the details collected under the use case. Our powerful reporting engine helps you grab and organize all the use case details, and present them in a way that makes sense to both development teams and stakeholders.